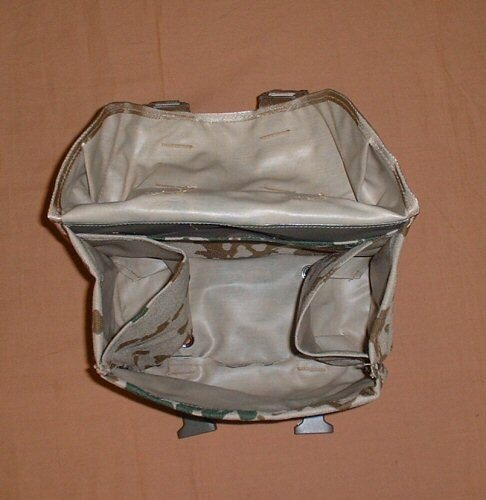 Military issue large general purpose pouch for storage of rations, mess tins, eating utensils, useful field items. 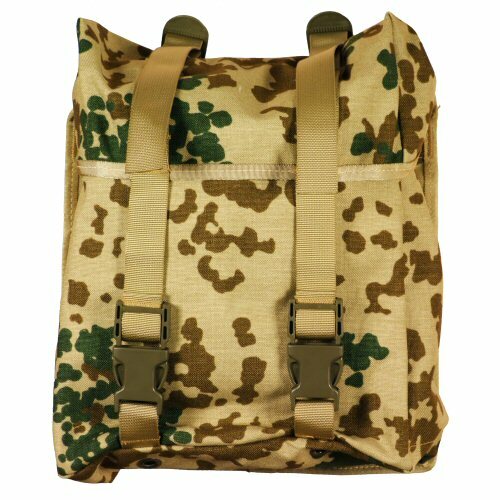 Large size of approximately 30cmx25cmx12cm allows storage of most field items. Features two loops on top which are independently fastened and adjusted for the quick storage of a rolled-up Goretex jacket or other extra clothing or can be used to shrink the size of the pouch. Pouch is closed with two fastex buckles which are fully adjustable and has two German web adapter plates on rear. 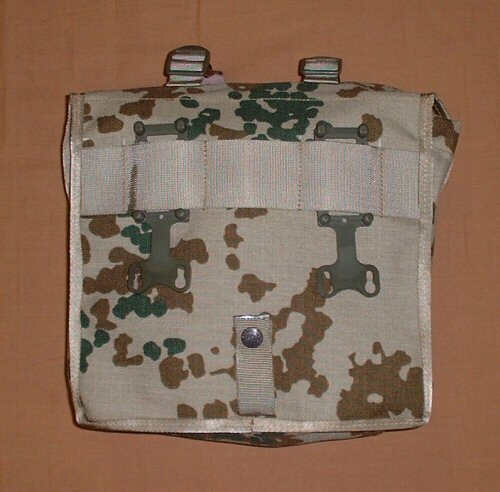 Can be worn as a small haversack if attached to the top panel on the German shoulder harness. Made in Germany. View of pouch opened to show the interior compartments.